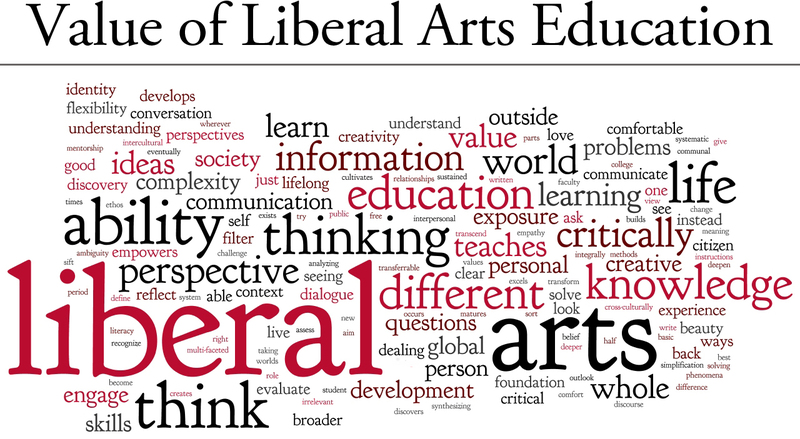 Trying to get my thoughts down here on the push to promote liberal arts and humanities education because it helps students develop skills like critical thinking, oral and written communication, evidence-based argumentation, collaboration, etc. I’ve seen this a lot from politicians recently (who mostly of the time think that higher education is only for job training), and today from the Association of American Colleges & Universities, who just released their annual employer survey. I fully agree that a good liberal arts education can indeed foster the development of these skills. But so can lots of fields. A good social science education, or even a well-designed STEM education can also promote critical thinking, communication, and the like. So there is nothing uniquely LA/H about this. Are we selling ourselves short? Missing the target? Dooming ourselves to a losing endeavor by conceding and making this our focus? Particularly distressing are websites like Indiana University’s “Selling Your Degree” – painful, and not just the obligatory/pleading Lee Iacoca quote. A quick google search can multiple this sort of example ad nauseam. So I simply do not want to concede the field of play to utilitarian, vocational concerns. AAC&U is a wonderful organization, and I applaud their efforts from a strategic perspective. We should support this discourse about skills when engaging with employers, politicians, and others because it is good strategy. But we should not lose sight of what we really want and what we really value. Posted on April 10, 2013 by bilcummings. This entry was tagged #education #highered #humanities #liberalarts. Bookmark the permalink. I share your worry about instrumentalizing the liberal arts, but I have decided to repress those worries in an effort not to cede an inch of the argument about the value of a liberal arts education to those who think a professional degree is more practical. No, there is nothing more practical or more instrumentally valuable than cultivating the habits of ethical imagination I suggest in the quotation you so generously included from me above. But to advocate for the instrumental value of the liberal arts takes nothing away from their intrinsic value. So however allergic we humanists might be to it, we need to defend the liberal arts in instrumental terms too. We do a disservice to ourselves when we fail to advocate for the liberal arts in whatever terms will be most effective at ensuring that they can continue to transform the lives of students by orienting them toward higher ideals than the merely instrumental.